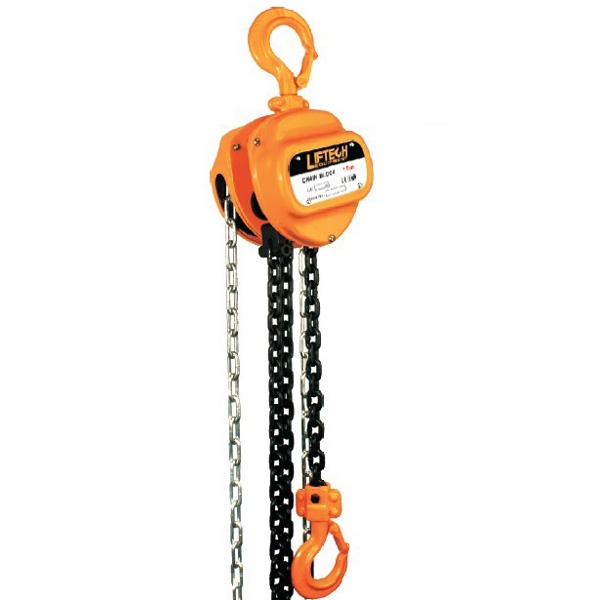 The LIFTECH hand chain hoist model C is attractive in price and quality. 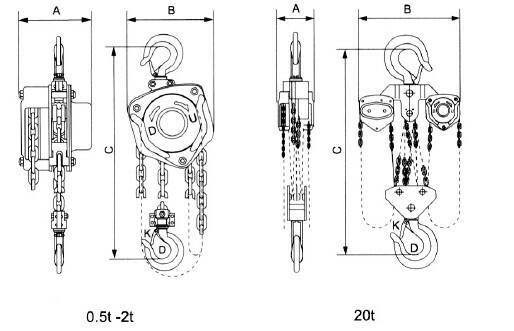 The LIFTECH hand Hand lifting hoists model C combines all the features expected by the user:quality, safety and performance-at a favorable price. *Fullyenclosed stamped steel housing allows also outdoor use. *Fullyenclosed, self activation load brake withasbestos-freefriction discs. *Extremelylow overall height allows optimal use of available headroom. *Doublepawls supporting fail-safe brake mechanism. Even if by any chance one of thetwo pawls becomes unserviceable, the other will still remain operative and thebrake system remains secure. *Rust andacid resistant loads and have chains.